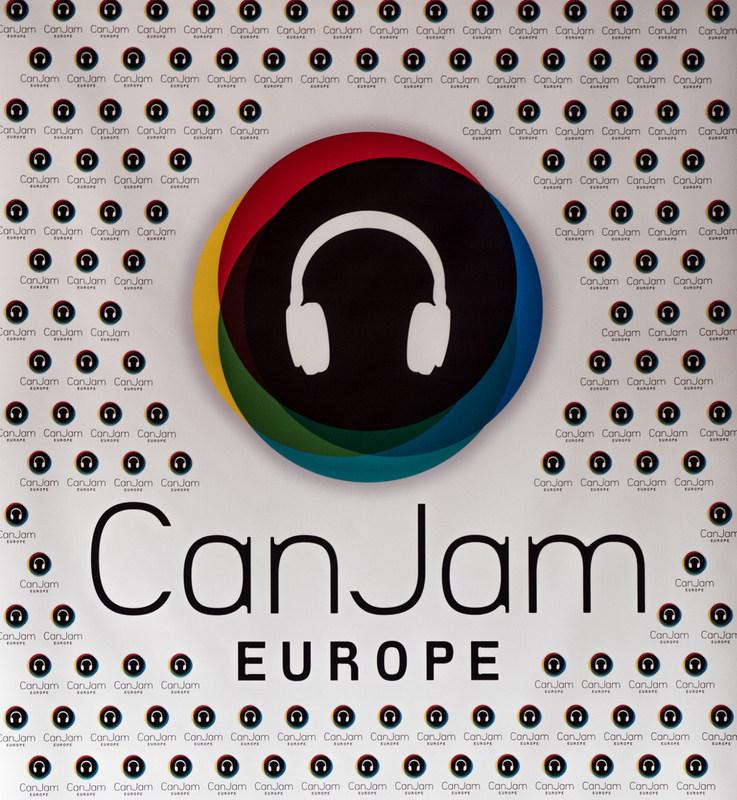 Following the CanJam 2016, we had the opportunity to interview Juliane Thümmel, who created Europe’s largest head phone event and is still responsible for its organization. We didn’t want to miss this opportunity to get a look behind the scenes with Juliane. HaF: Hello Juliane. Thanks for giving us your time! The CanJam 2016 was more than a month ago now. What is your conclusion? Were you satisfied? JT: Yes, very. The follow-up to the CanJam from our part has in the meanwhile, by and large, been completed. In some print magazines reports are still available, though the online reporting is naturally somewhat faster. Among other things, Marco Dettweiler of the FAZ, who had already written about the very first CanJam, published an article again. I was happy about that. Overall, we have managed to consolidate our position as a central point of entry on the topic of headphones. More than 1000 visitors have visited the CanJam in the two days and we had a total of 112 brands on site – by the way haargenau the same number as last year. The resistance is about 90%. Here, in my opinion, expresses the special spirit of the CanJam, we co-operate with all involved partners very closely and in partnership. HaF: And you could actually win an international audience, did not you? JT: In fact, this year we even had a guest from Hong Kong, who is himself a manufacturer. Mr. Wong was indeed very impressed as he had expected a much smaller event. We had some more guests from the Asia region, but also from the UK, Russia and of course from many European neighboring countries. HaF: So the name “CanJam Europe” is more than fair. There are also other CanJam shows, for example in the USA, in London and this year for the first time in Singapore. How are you associated with these shows? JT: We operate independently from the other CanJam shows, but we are in contact and discuss current possible forms of cooperation. However, our focus is also somewhat different. Behind the other events is the big international forum head-fi.org and accordingly the Forum and its members are the central hub for the conception of the shows. Of course, we also include the current interests of the headphone community in our planning and listen very carefully, but are not tied to a specific platform, and therefore take a broader audience into account. I also believe that we have the better location compared to London, as we are simply very centrally located on the continent. HaF: Naturally, the question of the extent to which the decision on food plays a role in this context inevitably follows. Especially when it comes to music, you might think more of Berlin or Hamburg and you finally live here in the capital. JT: A good question – in the first place actually happens in the area of HiFi, in Westdeutschland simply more. Especially the metropolitan region of Rhine-Ruhr is, of course, particularly interesting because of the large catchment area, the good infrastructure and the central location. The neighboring countries are comparatively fast. So although my heart depends on Berlin, we have found the right location for the CanJam. HaF: “At that time” is a good keyword. The CanJam took place this year for the fourth time. Can you give us a few insights into the development history? JT: With pleasure. We already had the topic of Community and in fact the idea was developed within the framework of small community meetings, among others, also with you – that must have been 2008 or 2009. During conversations at this time, the idea of raising these informal and very small meetings to a somewhat larger stage was a recurring theme. Since I had already gained experience with the organization of fairs and events in other industries, I decided to develop a trade fair concept. The idea was, on the one hand, to keep the idea of the community meeting, but on the other hand also to bring the manufacturers in the boat and to address a wider audience. For example, it is still possible to bring their own equipment to CanJam and to fiddle with like-minded people, and the stands are deliberately organized in such a way that they can be tested in peace and talked to manufacturers and distributors. Fortunately, I was able to win some strong media partners as well as some big manufacturers for the concept. With this confidence in the back and active support of some friends and helpers, the first CanJam could take place. In the meantime, the trade fair and thus, of course, the team have grown, otherwise the entire workload could not be met any more. In fact, we are already starting with the planning for the coming year. HaF: Do you already have specific ideas about this? Do you want to enlarge and expand the range of products shown? JT: A clear “Jein”. We define our focus with the term “personal audio” and this will continue to be the case in the future, so we do not have to integrate large-scale topics from the hi-fi sector into the CanJam format. On the other hand there were already singled out Bluetooth speakers in the last year and this year they could even be tested – always under the condition of mutual consideration. This has worked very well, so we will keep this area in the future. In addition, we would like to give the high-quality entry-level area a little more space in order to anticipate any existing contact with newcomers. We have emerged from the community and therefore understand ourselves primarily as a public fair. We welcome all interested parties and it is important for us to bring this philosophy into practice. HaF: This is a nice conclusion. Thanks for the interview and all the best for the coming year!